Torrance Dentist, Dr. Kaoru Yogi is a dedicated dentist that has been practicing dentistry in Southern California since 1992. 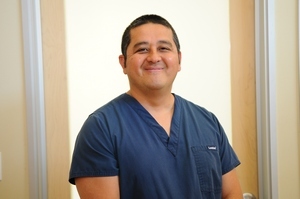 He thoroughly enjoys all aspects of dentistry and caring for his patients. Born in Okinawa, Japan, Dr. Yogi moved to the United States due to his father's career with the US Government. Dr. Yogi settled in Southern California and grew up in the South Bay area. In 1988, he received his Bachelor of Science degree in Biochemistry from the University of California Los Angeles. Dr. Yogi earned and was awarded his Doctor of Dental Surgery (DDS) degree in 1992, from the University of California Los Angeles School Of Dentistry. Dr. Yogi is a member in good standing with the American Dental Association and California Dental Association, since 1992. He is an active member of the Harbor Dental Society. Dr. Yogi enjoys gardening, growing vegetables, caring for his bonsai trees, and cooking. He loves the outdoors and is an avid hiker, camper and of course loves tailgating and attending UCLA football games. He currently lives in Torrance with is wife Laura, and his two children - Kylie and Kenji. Every dentist in our Torrance group dental practice recognizes their ability to enhance the lifestyles of our patients. As lifestyle enhancers, they take great pride in their ability, as dentists, to change the lives of our patients in a positive and meaningful way. Our Torrance dentists and dental specialists offer comprehensive dental services like, Cleaning and Prevention, Cosmetic Dentistry, Periodontal Care, Restorations, Orthodontics, Endodontics, Root Canal Therapy, Teeth Whitening, Dental Implants, and Pediatric Dental Care.